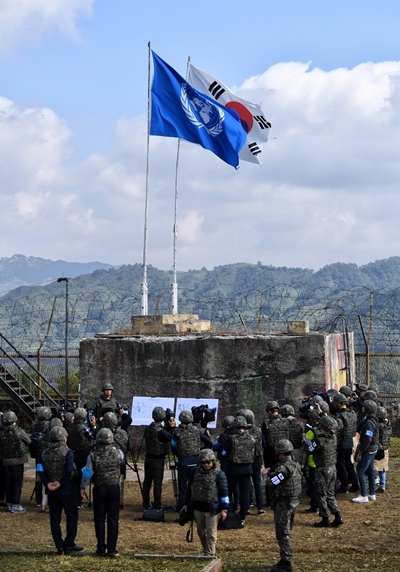 Peace is coming to the Demilitarized Zone (DMZ), the symbol of the division of the Korean Peninsula. 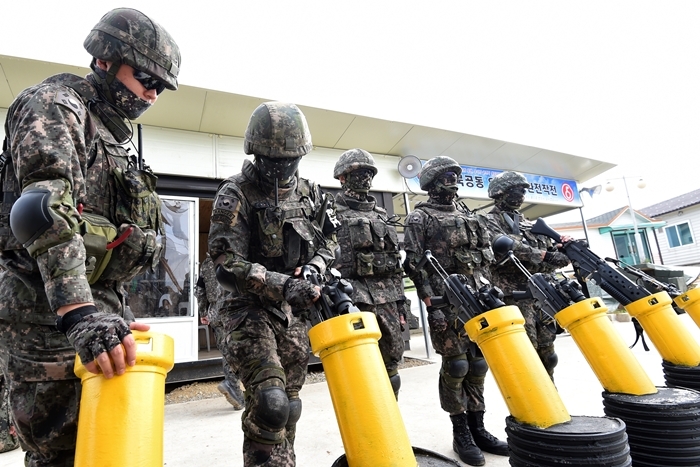 The landmine elimination work began on Oct. 1, to transform the DMZ in Cheorwon in Gangwon-do Province, into a land of peace. 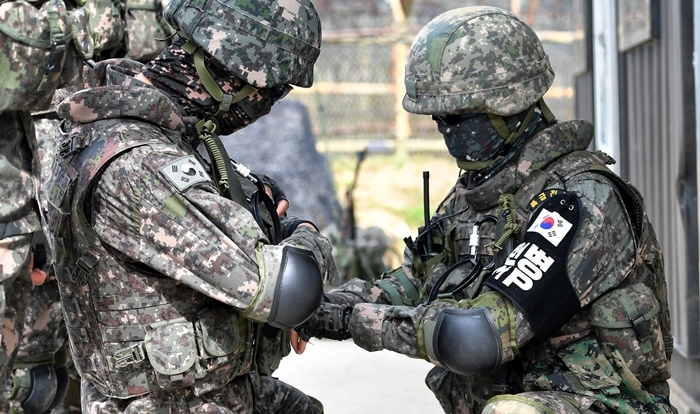 The removal work is in line with Agreement on the Implementation of the Historic Panmunjom Declaration in the Military Domain of September 2018, signed between the military authorities of the two Koreas during the 2018 Inter-Korean Summit Pyeongyang. Under the agreement, the two sides will conduct the work for 20 days. The following are the photos of soldiers, released on Oct. 2 during the landmine elimination work. 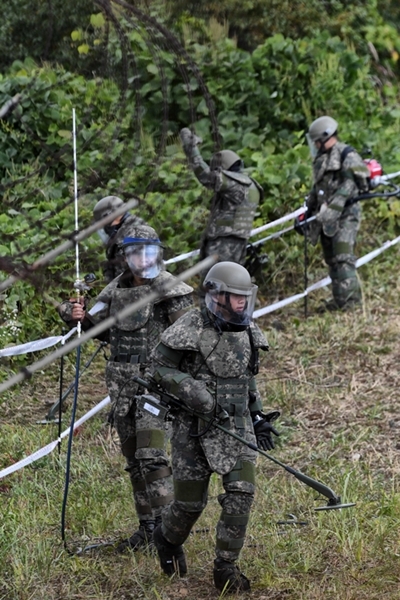 Soldiers of the fifth army division carrying out the landmine elimination operation on Oct. 2. Soldiers carrying out the landmine elimination operation on Oct. 2. 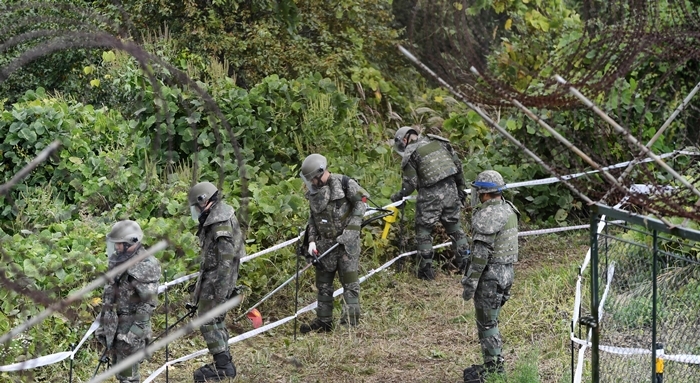 Soldiers carrying out the landmine elimination operation on Arrowhead Ridge in Cheorwon, Gangwon-do Province, on Oct. 2. 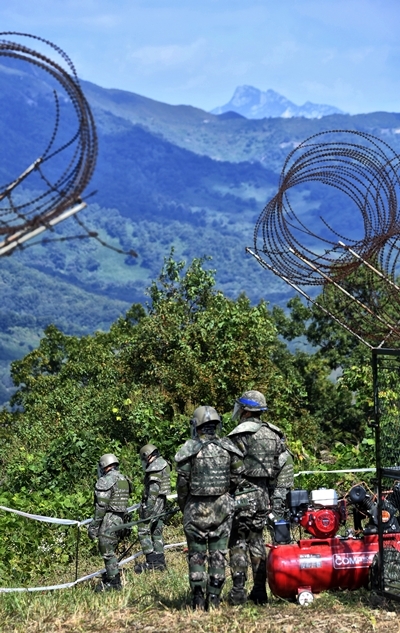 Soldiers carry out the landmine removal work on Arrowhead Ridge in Cheorwon, Gangwon-do Province, on Oct. 2. 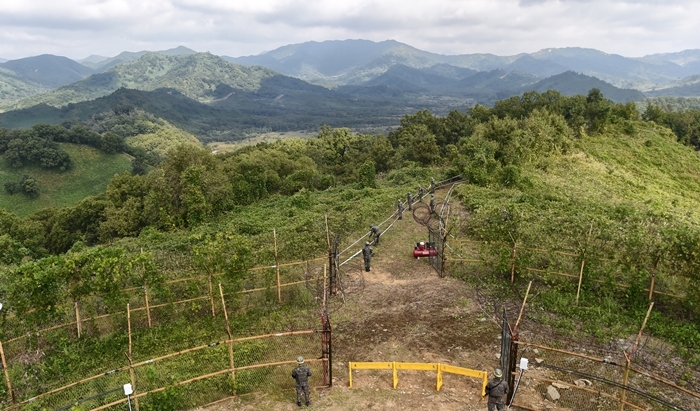 Journalists visit the landmine removal operation site on Arrowhead Ridge in Cheorwon, Gangwon-do Province, on Oct. 2.